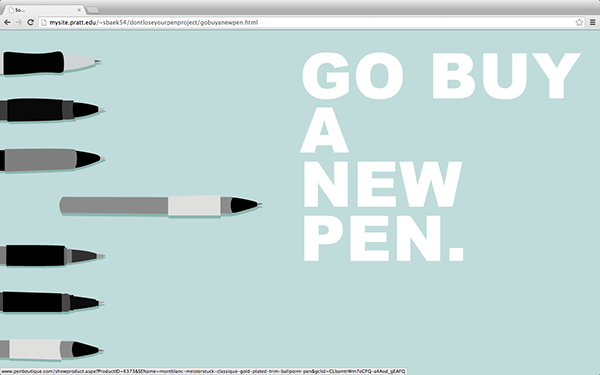 Click here to see the website! 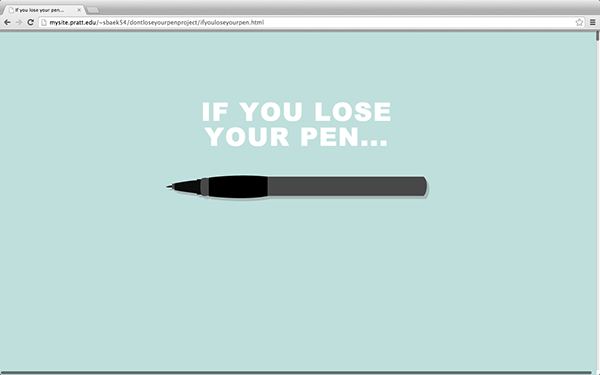 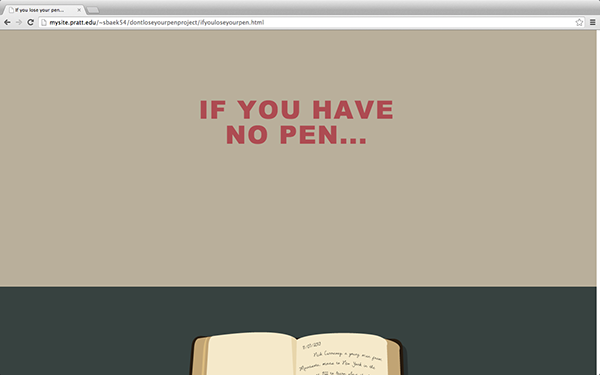 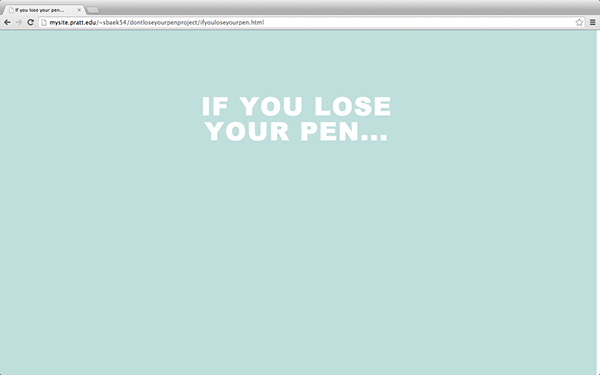 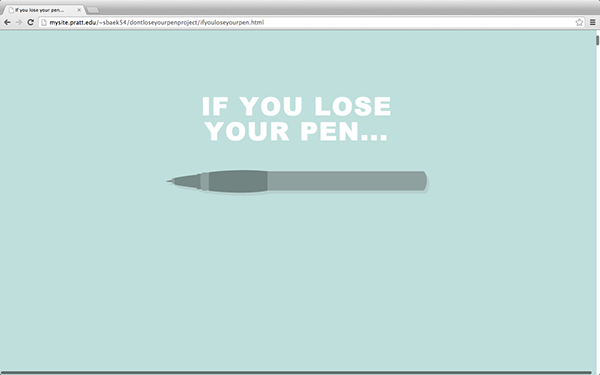 This is a one page scroll site, on a narration based on what would happen if you lose your pen. 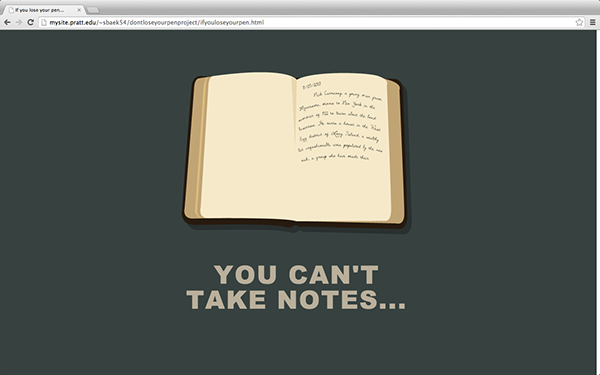 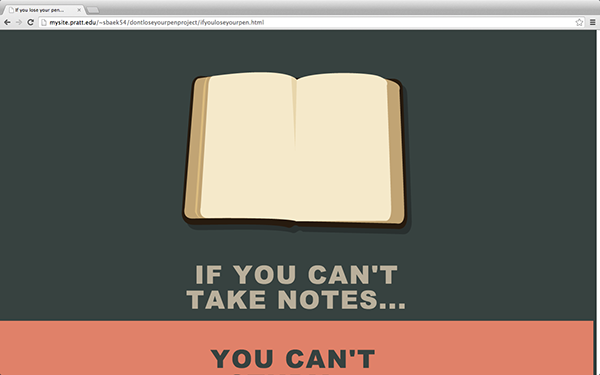 The images animate as the user scrolls through the page. 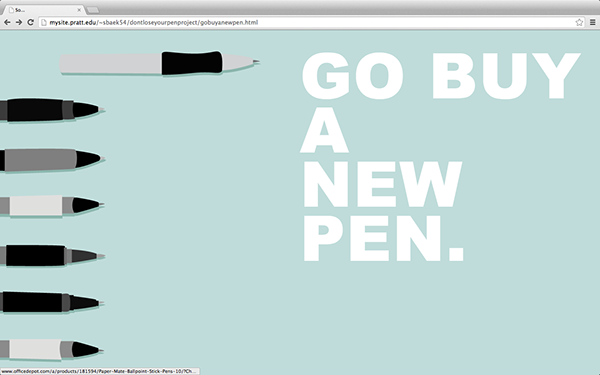 It then links to a new page, where the pens act as links to sites where you can buy pens of a wide price range. 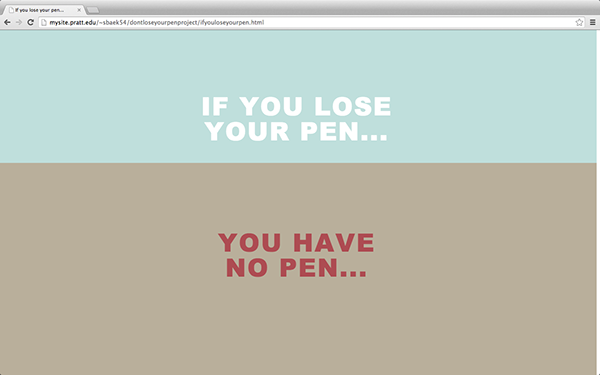 There is also animated version made with After Effects, which allowed a wider variety in the way the images could be animated. 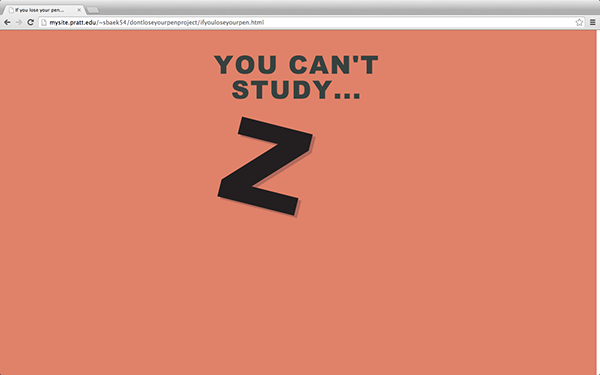 Done in Fall 2013.